Thermo Fisher has broadened its CDMO interest by agreeing to acquire viral vector firm Brammer Bio. The deal brings Brammer access to a broad portfolio of gene therapy technologies and consumables. 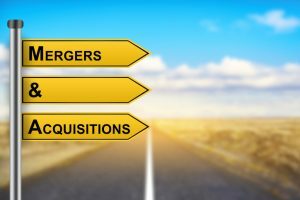 This morning bioprocess giant Thermo Fisher made good on the recent rumors of a major acquisition by agreeing to buy contract development and manufacturing organization (CDMO) Brammer Bio for $1.7 billion (€1.5 billion) in cash from Ampersand Capital Partners. Formed through the merger of Brammer Biopharmaceuticals and Florida Biologix in 2016, the CDMO makes viral vector products for in vivo and ex vivo therapeutic applications. From its Alachua, Florida, and Cambridge, Massachusetts facilities, the firm offers late-stage clinical and commercial-ready manufacturing gene therapy capabilities. Marc Casper, CEO of Thermo Fisher, described the deal as “an exciting addition” to his firm’s pharma services business. Gene therapies are one of the fastest growing areas in the biopharma space and demand for manufacturing capabilities currently outstrips supply. Therefore, the deal “is a prime example of Marc [Casper] and Co. looking at how they would like to be positioned in the next 5-10 years and adding to the existing portfolio to build out exposure and maintain leading positions in the market,” Evercore ISI analyst Ross Muken said in a note. The deal – expected to be completed by the end of the second quarter of 2019 – is another major jump from vendor to manufacturer for Thermo Fisher, following its $7.2 billion acquisition of CDMO Patheon in 2017.